Judie was writing up a Lenovo review for Gear Diary and while waiting for the product video to load a commercial came on, and rather than skipping as most of us do … she watched it, and shared with us one of the funniest commercials I’ve seen. It is funnier still because it is for a REAL product! And as noted, this is a REAL product … check out their site! Honest Company Slogans – What They SHOULD Say! Over at Business Insider there is a post that looks at a more honest set of slogans for companies. The one about Pepsi above made me laugh, because it is almost exactly what our waitress said to me at Applebee’s this weekend. We were driving back from Syracuse and the boy’s marching band state competition, and wanted someplace quiet and easy to eat (the kids were on buses and over-ran the A&W in Cortland) … so we hit Applebee’s. When I asked for a Diet Coke, the very nice waitress looked at me apologetically and said ‘is Pepsi OK?’. I am not picky, so it was. But it occurred to me that I have never heard someone apologetically say ‘we only have Coke, is that ok?’. The other slogans are also hilarious, such as Ticketmaster ‘Yeah … we’re going to charge you whatever we want’. So I thought it would be fun to try to do others, similar to what they’ve done at HonestSlogans. 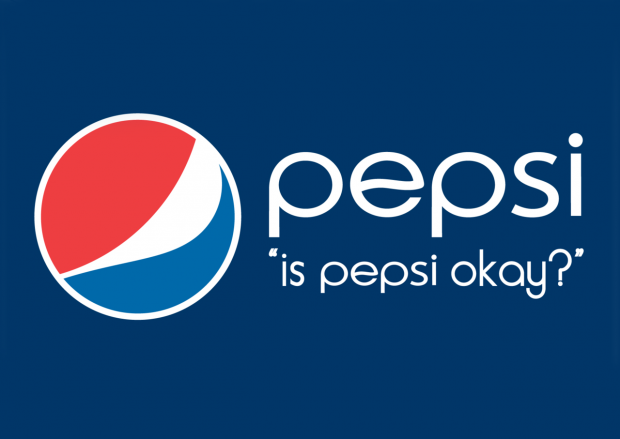 What honest slogan can you come up with?